Booked Job Work Order and Invoice in One 6558B At Print EZ. Booked Job Work Order and Invoice in One Item No. 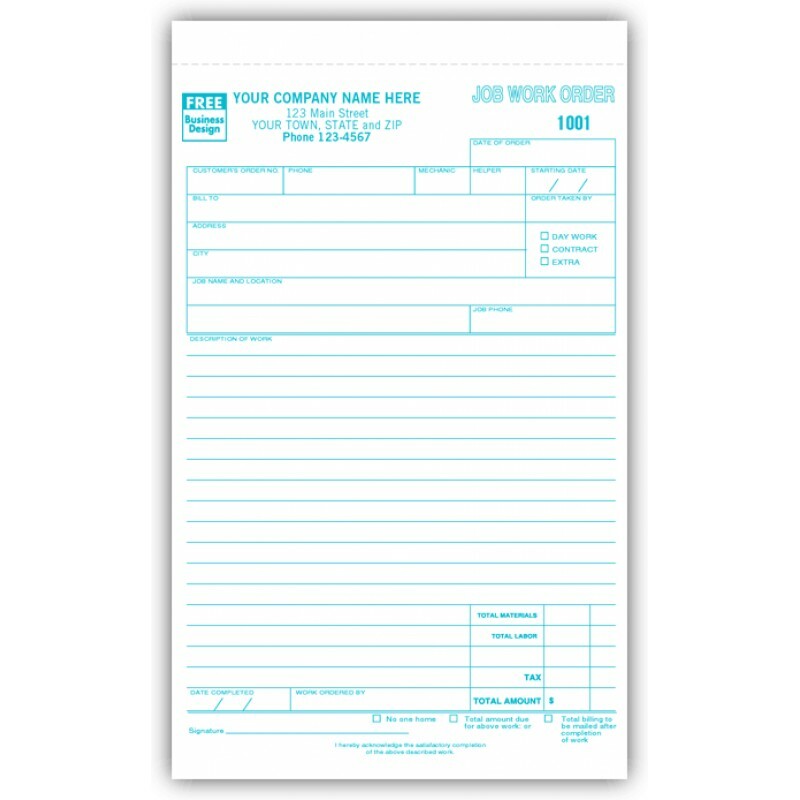 6558B Size: 5" x 8"
Looking for job orders that allow you to collect important data on the work done and also feedback from the customer? Then our job work orders in book format are the ideal choice for your company. 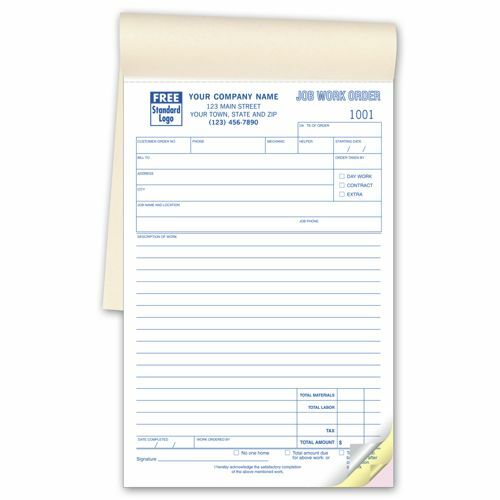 Designed for convenience, these job order forms have been printed on crisp NCR paper and adopt a detailed format. These forms demand a listing of each aspect of the work done, like the mechanic who worked on the job, the helper who assisted, the date the task was started and when it was completed. Space has been provided for the description of the job and this is very handy when it comes to detailing the problem and the customized solution that was sought out for the issue. One look at the form and you know exactly what the job was, who dealt with the problem, how it was solved and what the charges for it were. I love being able to fax my order in and my work tickets are mailed to me.